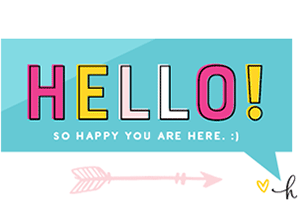 CAUTION: fun times ahead! 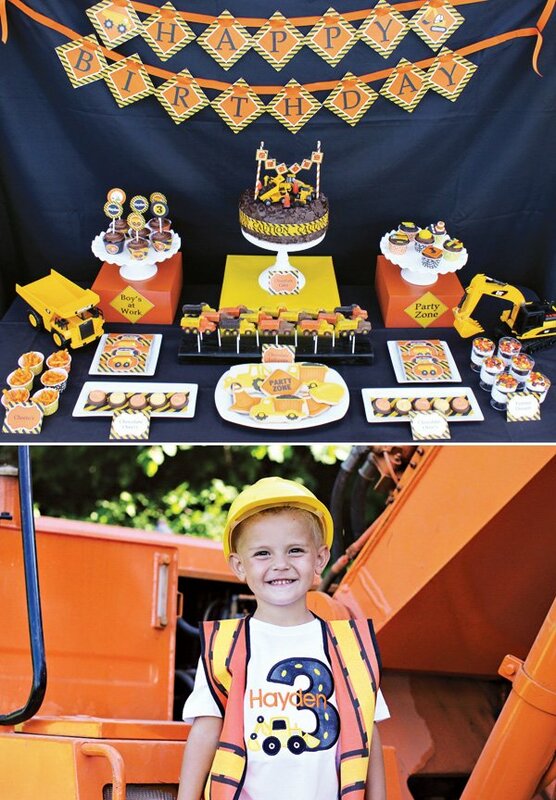 Inspired by her son’s love of “helping daddy with work”, Ashley of Cupcake Express built him a Construction Themed Birthday Party that just looks like LOADS of fun. 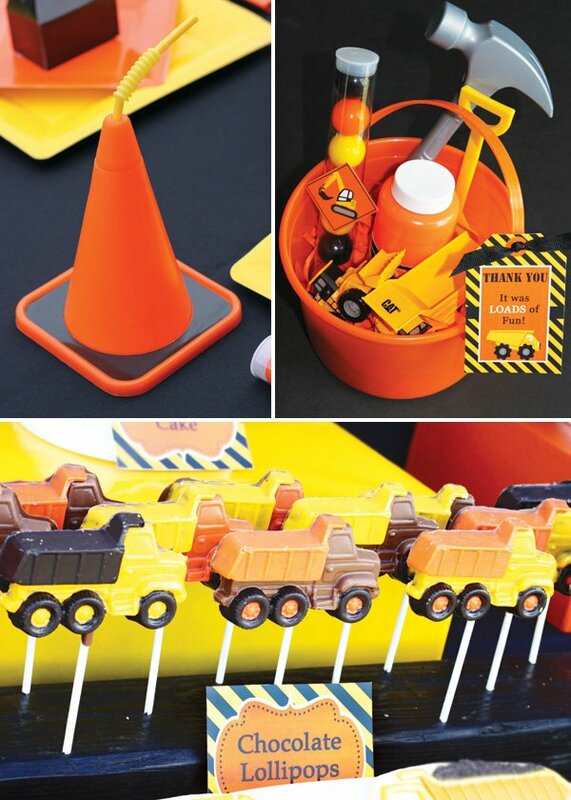 From power tool chocolates to construction zone cookies, all the treats look delicious, but I’m especially digging the Chocolate Mud Cake turned “construction site” topped with mini dump trucks, track-hoes, and Oreo cookie “dirt”! My son Hayden has always loved to play in the dirt and drive his trucks around, but ever since my husband got a Track-hoe this last Spring, he has been in love with helping his daddy’s work and dig in the dirt. So I knew just what kind of birthday he would be having for his 3rd birthday…. 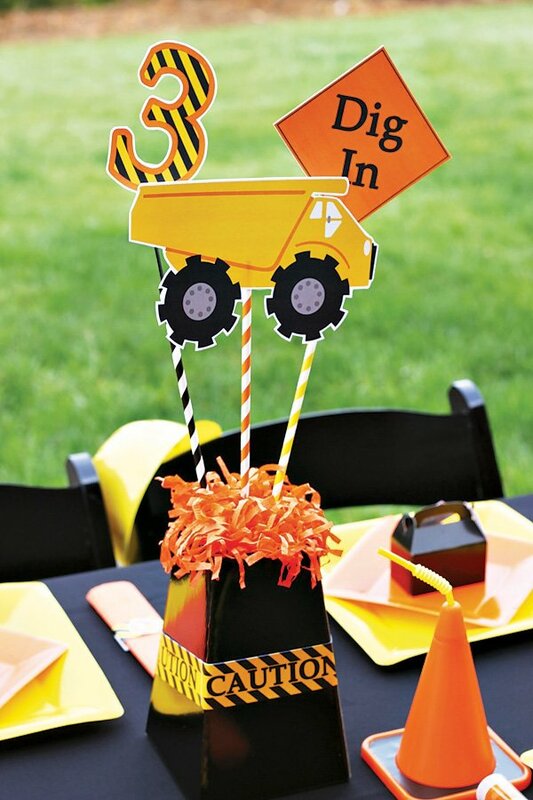 a Construction Zone Party! 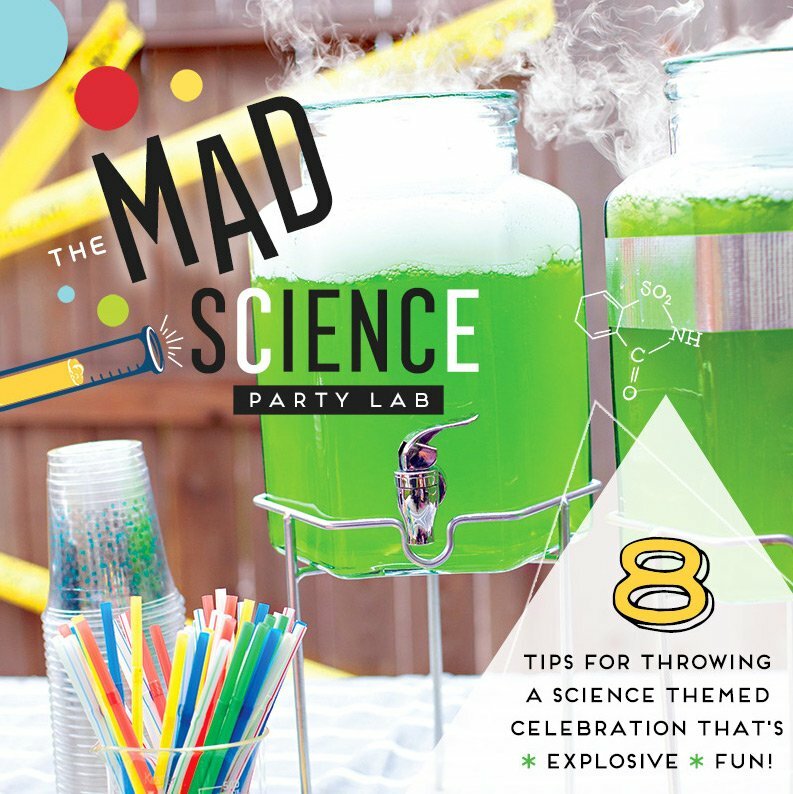 I designed the Construction party printables which was so much fun because we are normally doing lots of girly parties with my 2 oldest girls, so this was such a fun boy party — nothing girly about it! 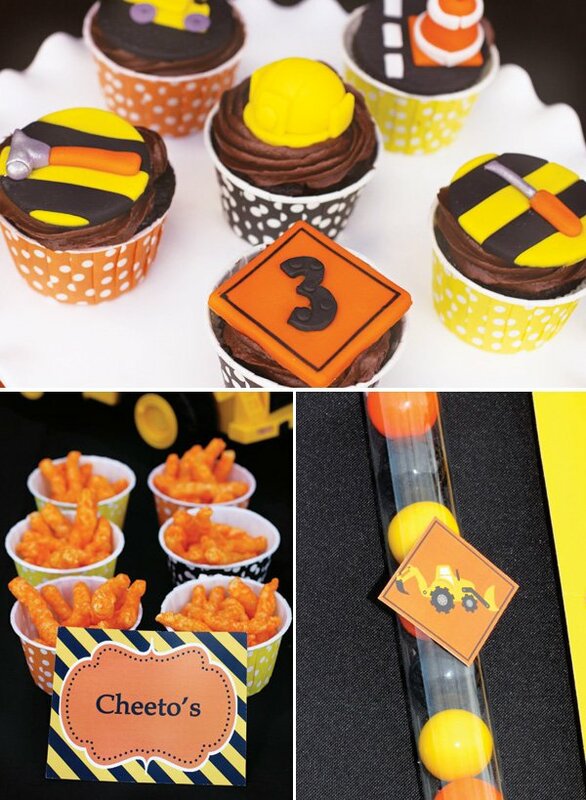 We stuck with the construction theme throughout the party and the color scheme was yellow, orange and black. 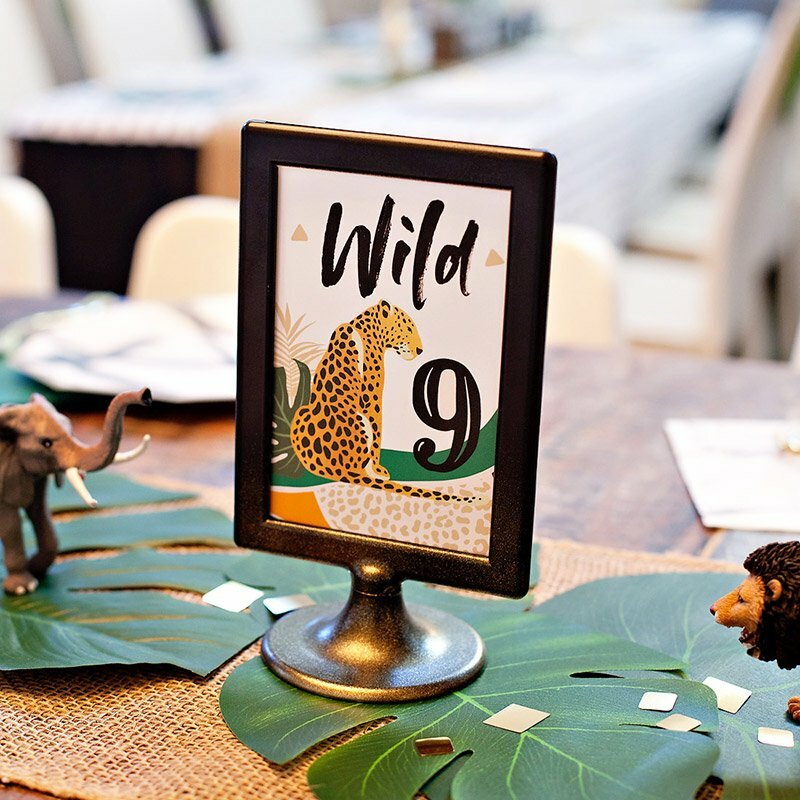 We found the cutest Dump truck shirt on Etsy from Great Stitches, which was perfect for Hayden’s invitation and party photos! 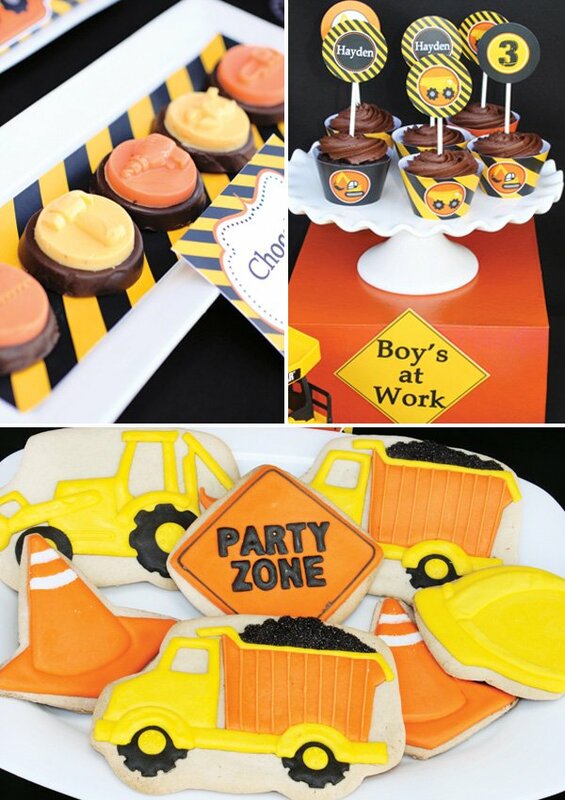 I ordered some adorable Construction Zone cookies from Oh Sugar Events and they couldn’t have been more perfect! Next, we got some fun little chocolates with tools on them from Jenny B Sweets. We also got some fondant cupcake toppers from Editable Accents and used them to top off half of our cupcakes. The other half of the cupcakes, we used our Printable Cupcake toppers. My son fell in love with these chocolate Dump trucks from Candys Candies when he saw me looking at them online, so I knew I had to get them. I also made some mini yummy deserts. I layered cool whip, chocolate covered fudge Oreo’s, and sprinkled reese’s pieces on top. I was struggling on what to do for a cake and I didn’t have time to attempt a fondant cake and not much time to make one either. So I went to Costco and got their tall Chocolate Mud Cake (which is to die for). 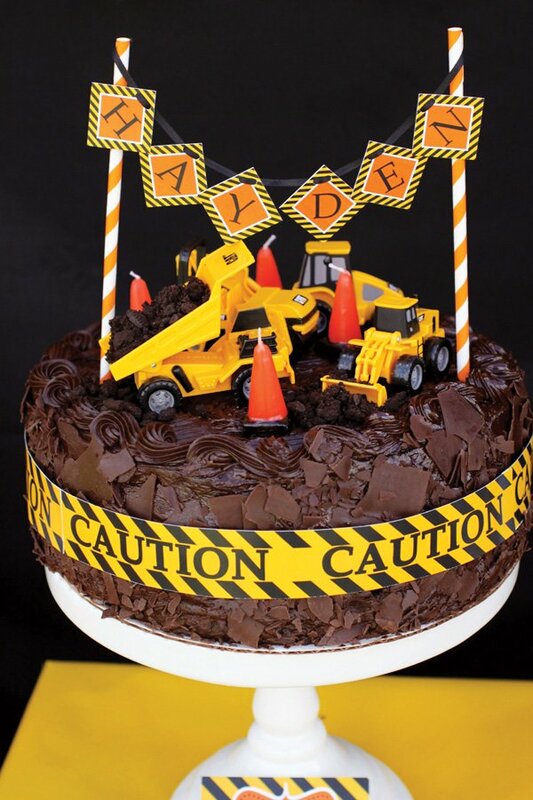 We wrapped our printable caution tape around the cake and added some dump trucks and track-hoe’s on top. I also crumbled up Oreo’s to add some dirt. To top off the cake, I made a name bunting included in the printable set) and strung it together using our striped paper straws. For our table setting, we put some little yellow hats on the back of each kid’s chair. 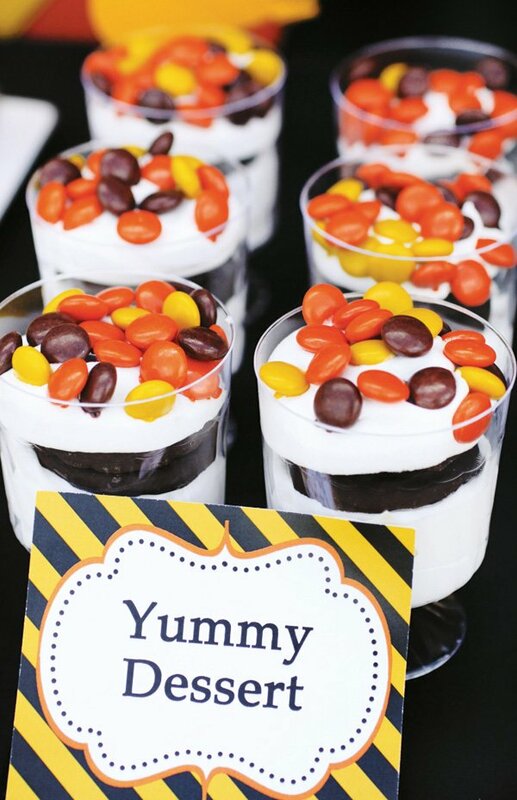 We layered yellow and orange paper plates and placed mini black gable box filled with candies in the middle. 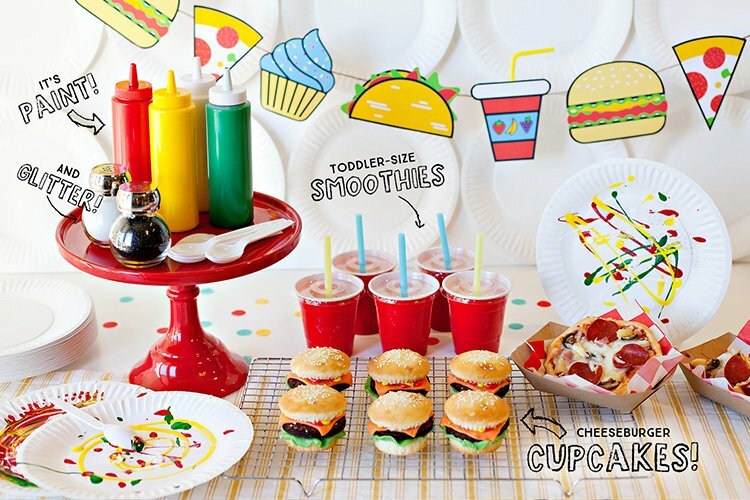 We used our printable napkin wraps on one side and our gumball filled tubes on the other side. 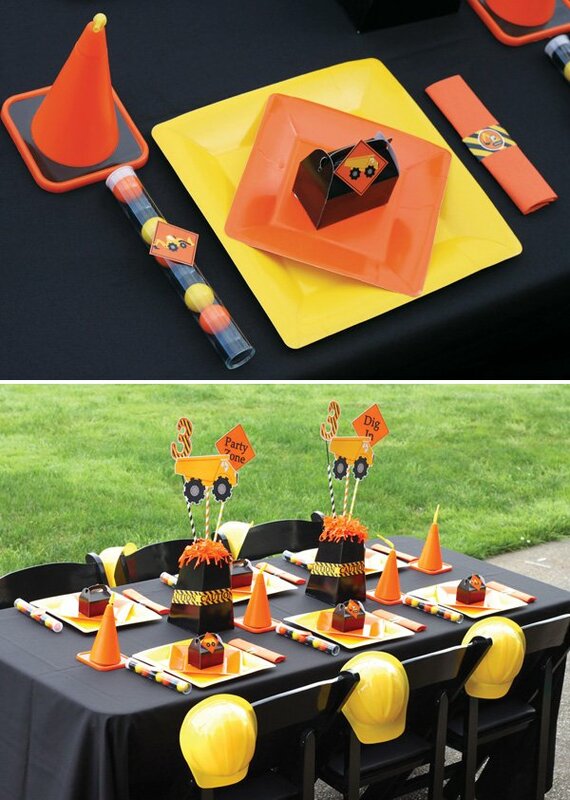 For our centerpieces, we used our black Blume Boxes and filled them with shredded orange napkins and our printable centerpiece images attached to striped paper straws. 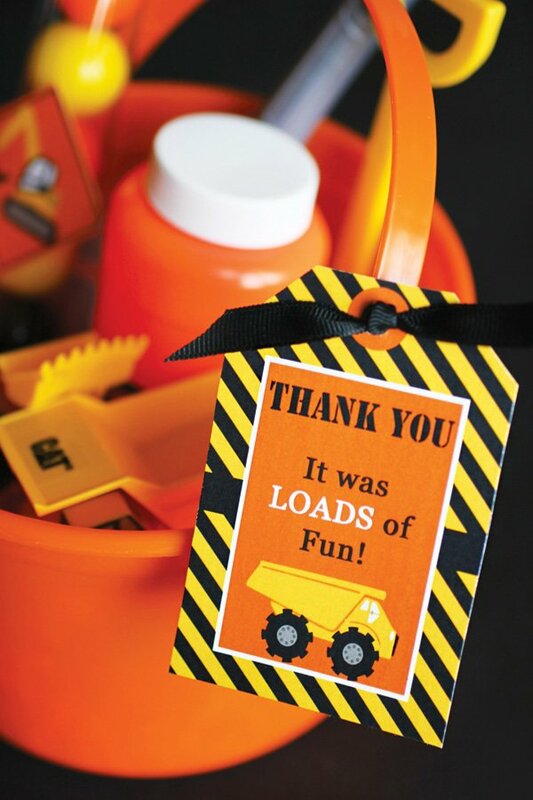 Hayden’s Construction Zone party was a huge success and he loved every minute of it! 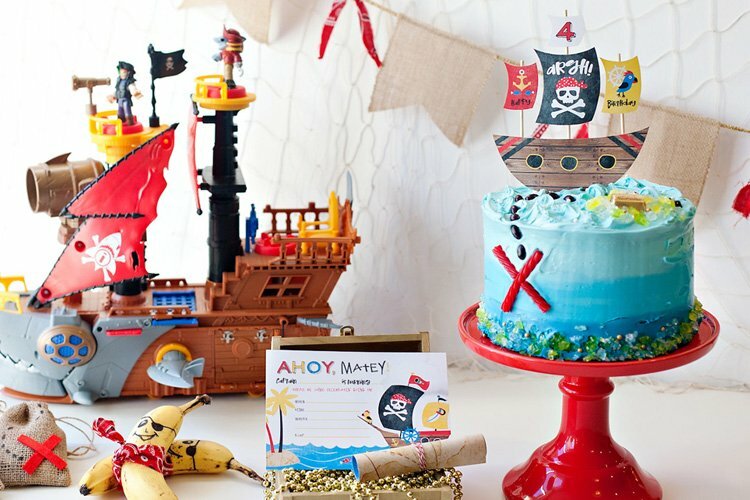 All of the party planning and DIY projects were worth it to see how much he loved everything! I love everything I see here and have looked at all of the vendor sites as well. 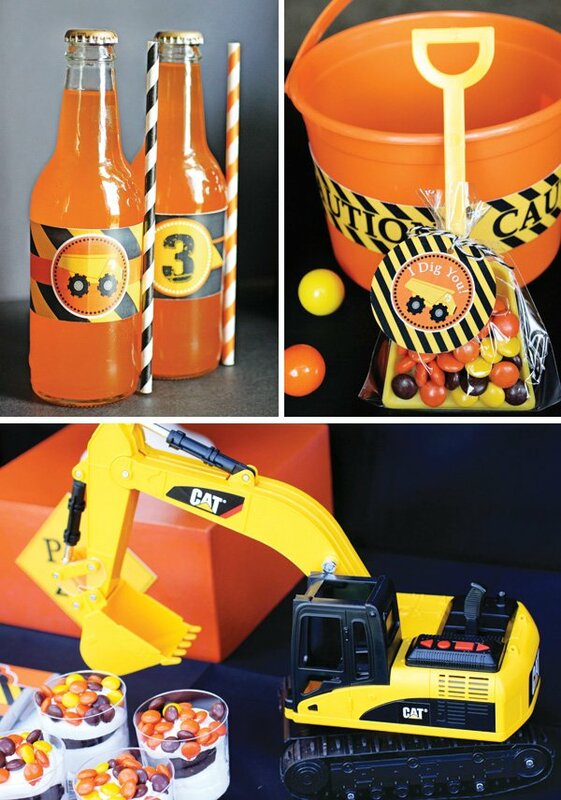 I am planning a Construction Themed party for my soon to be 3 year old and the one question that i have is what kind of activities did you have? I am having some problems coming up with things that would interest a range of ages, both boys and girls. And, the other issue is that my son’s birthday is in March and we live in Seattle, therefore it has to be indoors due to the weather. Digging in the dirt and running around outside is not an option. thanks!